Build A Story - Select the appropriate phrases to create a story. Transitional Devices -A list of some common transitional devices that can be used to cue readers. 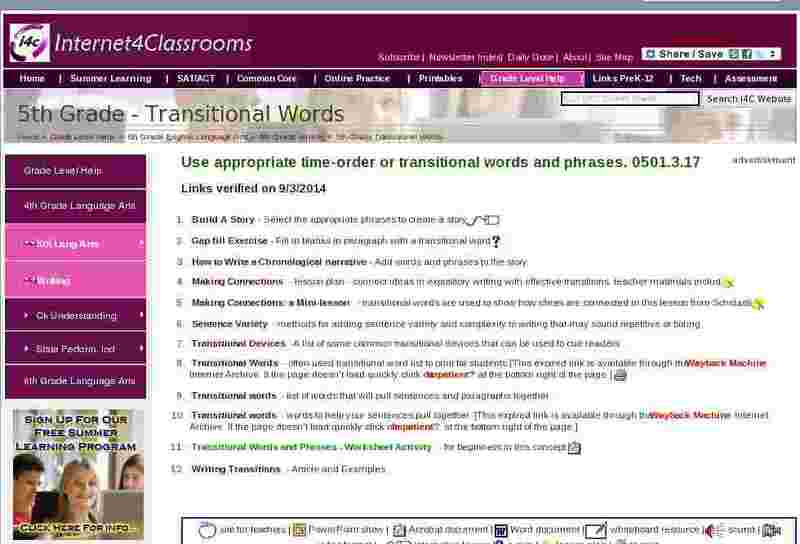 Transitional words - list of words that will pull sentences and paragraphs together. Writing Transitions - Article and Examples.